In Canada, Chilean sea bass is the icon of non-ecological fish, since it is overfished, but there do exist other types of bass that can be eaten without worrying about the survival of the species and the environment. In fact, the term “bass” refers to several species of Atlantic fish, mainly from the Moronidae family, but which have also been found in the waters of the Pacific over the last 150 years, following human intervention. The word “bass” comes from the Germanic bars, meaning perch, with reference to perch-like fish that also have similarly dangerous spiny dorsal fins. In France, it is also known as loup de mer (literally “wolf of the sea”), because it is a voracious carnivore. Striped bass is available in our local grocery stores all year round. It is an anadromous species, which means that its spawning takes place in freshwater. It is a mid-fatty fish with very few bones and delicate white flesh that tastes faintly like shellfish. 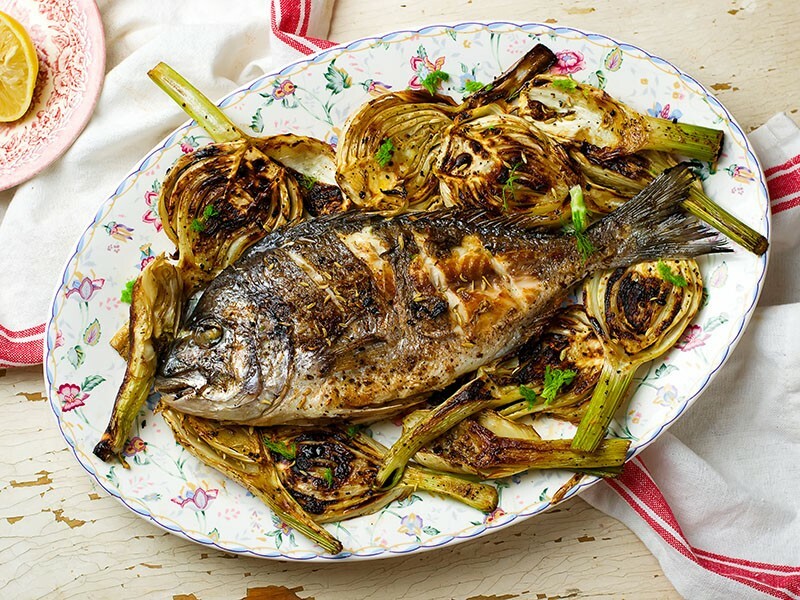 This fish can handle any cooking method well, so it can be nicely prepared on the barbecue. Originally published in the Journal de Montréal on July 28, 2012.